Uplifting Love: Favorite Things Birthday Present Giveaway! Please note that some of the links below are affiliate links, and at no additional cost to you, I will earn a commission if you decide to make a purchase. 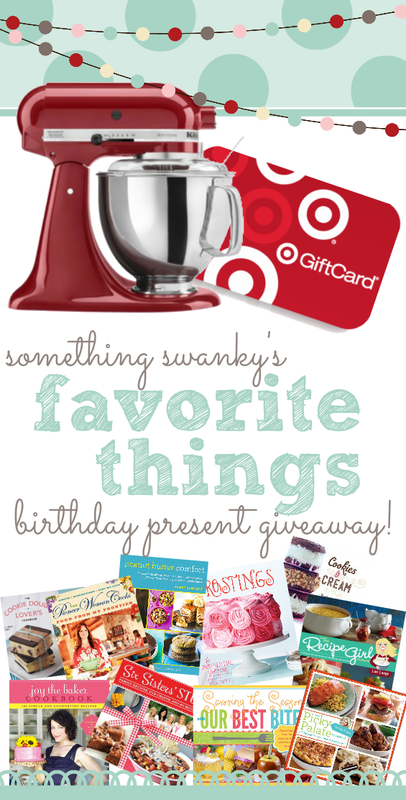 Favorite Things Birthday Present Giveaway! My good friend and blogging mentor, Ashton, is celebrating her birthday in the next few days and as a part of doing that she's put together this giveaway. It's got some awesome stuff like a KitchenAid mixer and a $300 Target gift card! Please, share your thoughts with me! I love to hear what readers think. Tell me what you enjoy, what you'd like to see, and what I can do for you. And don't forget to tell your friends about Uplifting Love. Get your copy of my ebook now! Real love, lasting love brings peace, happiness, satisfaction, and unparalleled joy. It lifts the human soul to heights never before imagined and inspires us to greatness. Love is the most powerful force in existence. It is what powers the universe itself. This type of love is uplifting love. The trick is learning how to tap into this kind of love and then invest the effort required to obtain it. That's what this blog is for. What's the Point of Pinterest? Swim, Sun, and Fun Giveaway LAST DAY!! Happy, Happy Birthday to the Woman I Love! Copyright Uplifting Love 2014. Simple theme. Powered by Blogger.